Escape to an enchanting oasis of swaying palms, tropical surroundings and an island ambience that evokes the languid spirit of the South Pacific. Disney’s Polynesian Villas & Bungalows makes its home at one of the original—and legendary—Walt Disney World Resort hotels. Discover an island paradise—inspired by Walt Disney himself—nestled within Disney’s Polynesian Village Resort. Disney's Polynesian Villas & Bungalows is a modern tropical paradise located minutes from Magic Kingdom park via water taxi or monorail ride, and a bus ride away from nearby Disney theme parks. Here, mid-century modern design meets traditional Polynesian style in a blissful union of Disney heritage and the South Pacific spirit of aloha. From the moment you step foot into the lobby of the Great Ceremonial House at Disney's Polynesian Village Resort, you’ll know you're "home.” Upon arrival, Cast Members will welcome you into an 'ohana family as cherished cousins. Exotic island refreshments and music will inspire you to abandon the cares of the outside world you've left behind. 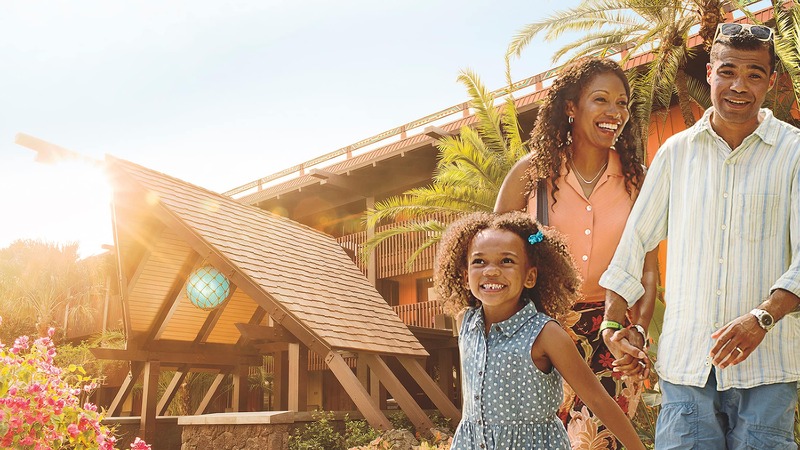 Whether it's a relaxing family vacation in one of Disney's first over-the-water bungalows or a fun-filled getaway in a beautifully designed deluxe studio, you’re sure to find your place in paradise—and a favorite vacation getaway your family will treasure for years to come. Disney's Polynesian Village Resort is currently rated as a AAA 4-Diamond resort. Explore spacious accommodations with convenient amenities, innovative design and an atmosphere that’s pure magic. All across Disney’s Polynesian Villas & Bungalows, modern additions enhance its legendary history and carry a beloved legacy into the future. In the Disney Vacation Club longhouses of Tokelau, Moorea and Pago Pago, designers created rooms that evoke the spirit of the Islands and the legacy of Walt Disney himself—and offer Guests a truly magical experience. Taste the culinary magic of the islands at Disney’s Polynesian Village Resort. Indulge in tropical specialties from the South Pacific, Asian-infused dishes and American classics for breakfast, lunch and dinner. Experience the delight of Character Dining, sip Polynesian cocktails by torchlight and take part in the spellbinding spirit of aloha at a traditional luau feast. Learn more about dining at Disney’s Polynesian Village Resort.